This is a classy knife. When viewed, one has the feeling of a peeping Tom sneaking a look at a beautiful woman powdering in her boudoir. The Charolite interframes are the most beautiful Iâ€™ve ever seen. 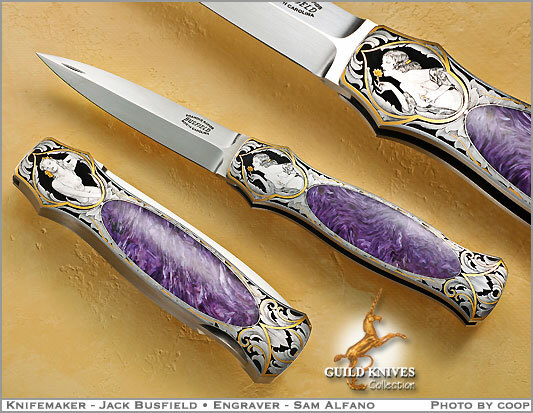 Sam Alfanoâ€™s bolino and Gold inlays are scrumptious. Investment grade.